We’re announcing a new special section to The Dead trade paperback called “Meanwhiles”, which will basically show snapshots of other rooms within the House. These glimpses will be illustrated by a range of talented artist friends, and so far they are looking great! 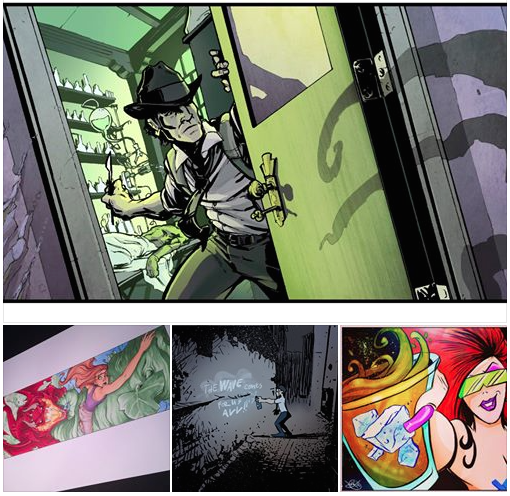 Check out a sneak peek at just a few of the images that will make up this section above from artists David Stoll, Tressina Bowling, Justin Stewart and Vladimir Popov! This entry was posted in The Dead. Bookmark the permalink.